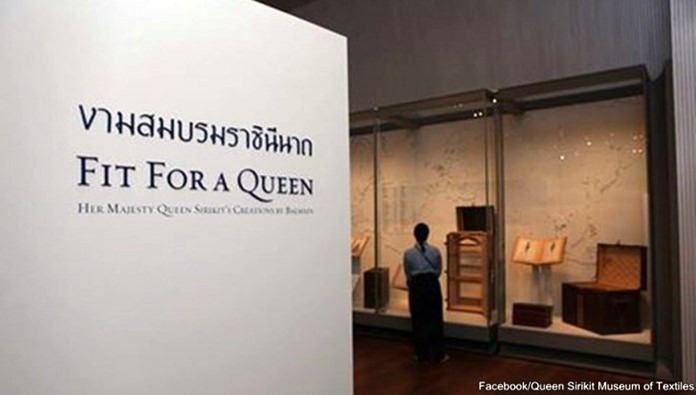 Fit For A Queen’ exhibition is now on show at the Queen Sirikit Museum of Textiles as government agencies are now prepared to hold several activities to mark the 84th upcoming birthday anniversary of Her Majesty the Queen on August 12. The exhibition, featuring the display of the Queen’s stylish attires, hats and shoes she wore during 1960-1967, is a combination of Thai traditional dress and western style embroidery. The dresses were designed by French couturier Pierre Balmain, who worked for the Queen of Thailand for 22 years. Although several decades had passed, these royal costumes, hats and shoes are still well-preserved. One of the attires on display is a dress made of jacquard silk and locally woven fabric with metallic thread, bead, sequin and crystal embroidery which Her Majesty wore during the banquet hosted by the Shah of Iran in Tehran in 1967. 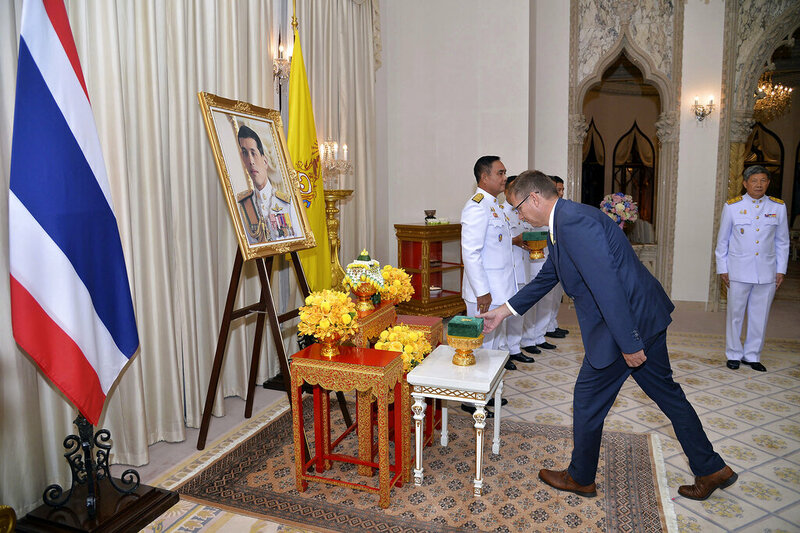 Queen Sirikit’s Museum of Textiles director Ms Piyawara Theerakha Natenoi recalled that it was the Queen’s wish that all royal dresses were made of Thai silk to promote the traditional Thai textiles during state visits to Europe and America with His Majesty the King in 1960. This was reason that the Queen decided to hire the French couturier Pierre Balmain. She said the Queen looked graceful in gorgeous traditional Thai silk gowns and smart western clothes every time she made public appearance alongside His Majesty the King during their visits to western countries. This earned admiration from Washington Post for the Queen’s beauty, intelligence in perfect selection of her dresses. The Queen was named on the International Best-Dressed Women Hall of Fame. Meanwhile the Ministry of Culture has launched a search for individuals photographed with Her Majesty the Queen to appear at an exhibition to celebrate her 84th birthday anniversary, the NNT reported. Minister of Culture Weera Rojpojanarat said the ministry will be holding a variety of activities through the month of August to highlight the royal works and artistic excellence of Her Majesty the Queen. A main activity will be the search for 8 individuals seen in photographs with Her Majesty. Other happenings to mark Her Majesty’s birthday will be a concert and musical play at the Thailand Cultural Center on August 11, an exhibition on traditional palace garb at Bangkok National Museum and forest planting in Ratchaburi province. Religious ceremonies including alms giving to 185 monks at Sanam Luang will also take place, with the main ceremony to be chaired by Prime Minister Gen Prayuth Chan-ocha. Citizens can find out about all the happenings by calling the ministry’s hotline at 1765.